Leathers that can be ‘buffed up’ or burnished to give a bright lustre. Creams and polishes can also be added. 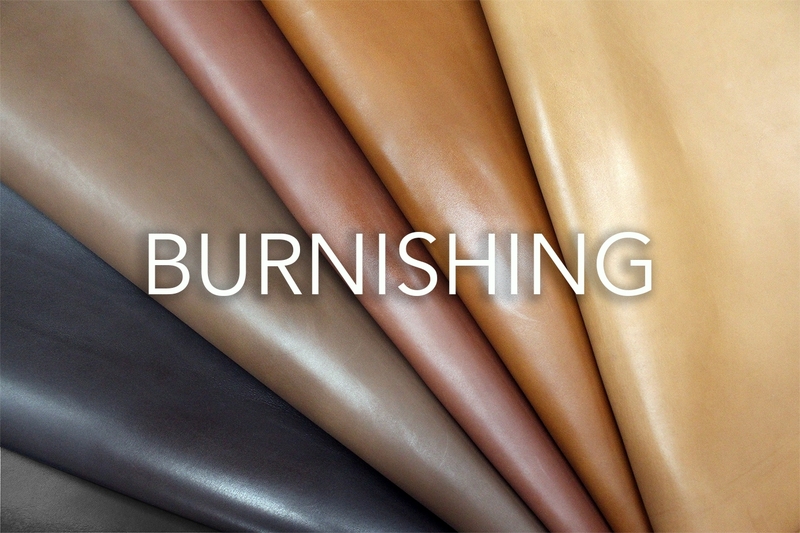 Burnishing leather will appear more matt than other leathers in first appearance leaving the brightness of the finished product you create up to you.